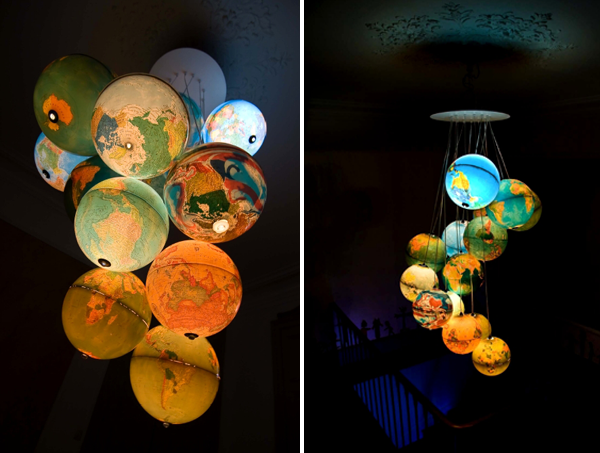 I am blown away by this globe chandelier that I spotted on Black Eiffel. It is by French lighting designer, Benoit Vieubled who creates many other lovely things out of light. I'm already strategizing how to make this on my own. How many dramatic lights are too many in a small living room?